The attempt at murder failed. Risking everything to keep young David Balfour from his just inheritance,his wicked uncle has him kidnapped - comdemning his nephew to seven long years of slavery in the Carolinas. However, on the way David runs into one of the greatest characters in English Literature: Alan Breck Stuart. These two heroes band together and before he knows it, David finds himself embroiled in political intrigues that chase him across the wild Scottish Highlands. From Marc Moshman of Silver Spring, Maryland on 9/5/2017 . B.J. Harrison reads this like he's a Scottish Laird from olde. Great reading, and the book is excellent for the most part. David seeking his rightful inheritance, his betrayal and overcoming injustices were captivating listening. To my mind, it got a bit slow towards the end as David and Alan ran around the Highlands avoiding the Campbell forces before picking up again and finishing strong. From Margaret L Murdock of Astoria, Oregon on 9/1/2016 . 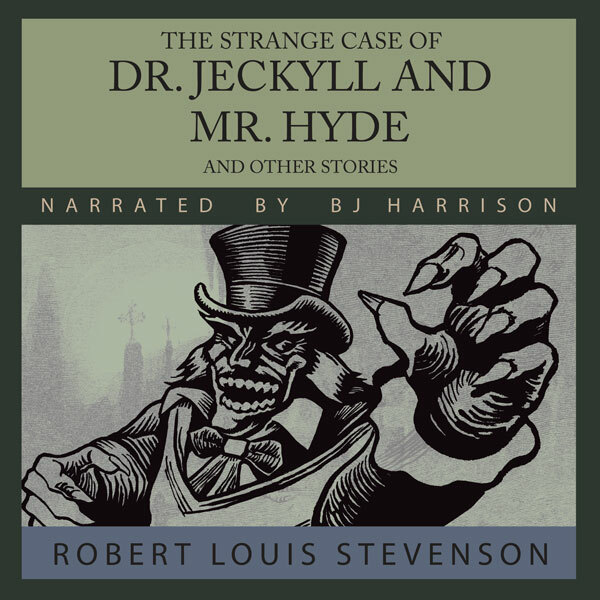 Robert Louis Stevenson is a great storyteller, what more can I say? This is a rollicking good tale, and BJ Harrison really brings the characters to life. While I agree with another reviewer that the mp3 format is less than ideal, I just convert mp3s to m4bs with AudioBookBinder, a free app you can download. From Nick Miceli of Bayonne, New Jersey on 12/14/2011 . Great story, enhanced by BJ's usual excellent reading. I would happily give five stars if not for a formatting glitch; in iTunes, these files open as music, not podcasts or audiobooks. The only problem with that is music doesn't resume from the last point played - basically, iTunes "loses your place" and I find myself scanning through the file to find where I left off. Still very entertaining, but that's an annoying wrinkle. High adventure and edge of your seat suspense! From Lyra of New York, New York on 8/12/2011 . I loved the audiobook Kidnapped! 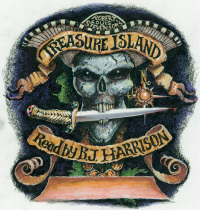 B. J. Harrison's work as narrator of the story is superb. His Scottish accent is right on point. B. J. deftly draws the humanity of the characters of Kidnapped. 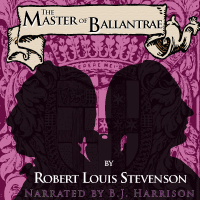 Robert Louis Stevenson's prose has sheer beauty and power, and B. J. Harrison's narration does it full justice. 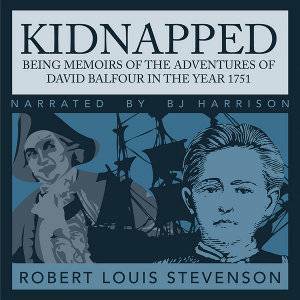 I highly recommend this audiobook and all others that are produced by TheBestAudioBooks.com and B. J. Harrison.